Here are some easy steps to help you find a job. Now that you have arrived in America--“The Land of Opportunity”--it is time to take advantage of the limitless avenues for success this country offers its residents. The following contains information on politely and professionally pursuing employment. The first step to getting a job in the United States is discovering who you are what and what you can offer to employers. Ask yourself these things. What are my strengths and weaknesses? What skills do I have that set me apart from other people? Why do I want a job? What kind of job do I want? Use your answers to begin to create a profile of yourself. You should be prepared to answer any of these questions, as they may be asked in an interview. Now it’s time to write your resume. This is perhaps the most important step of the process. You want to make sure that you represent yourself accurately by effectively highlighting your best skills for the employer. *Resume templates are available online and within Microsoft Word. Resumes for jobs in the United States are different than the resume you might have used in your home country. Extra information can potentially harm your chances of getting the job. Be brief but thorough. Your employer is not going to want to read through numerous pages of information. Include all of the details you need but try to keep it to about one page. CAUTION: Do not lie about yourself on your resume! Do not make up previous jobs or accomplishments. Employers will research your background before they hire you and will ask you about specific parts of your resume in the interview. Even if you have no previous work experience, it’s okay! Employers would much rather you tell them about your inexperience than have you lie to them. Employers will not want to hire a dishonest person. Always tell the truth. Available jobs are listed in multiple outlets. You can find available jobs through newspapers, the Internet, employment centers, job banks, networking, or through job fairs. This is the Atlanta-Journal Constitution’s website for job-hunting. It is a great resource for local employment opportunities and easy to use. Search ajcjobs.com. This is the Georgia Department of Labor’s website for job seekers. 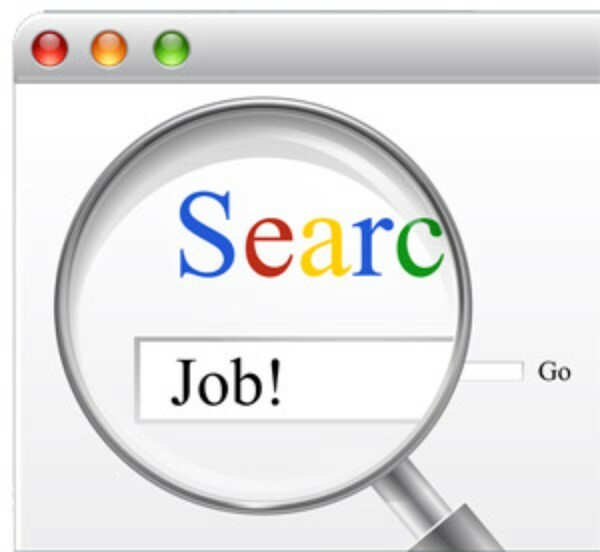 It provides multiple job search engines and other career resources which may help you narrow down your search. The Georgia Department of Labor also operates local career centers. The career center located closest to Clarkston is the Dekalb County Career Center. At this location you can make an appointment to go in and talk with a career specialist who, free of charge, will advise you and help get you started on the right track towards your new career. Now that you have researched several job opportunities you want to pursue, you need to contact the employer and set up an interview. Typically, employers will want to see your resume before they interview you and may ask that you submit it either via email, fax, or standard mail. If your resume interests them they may contact you to set up either an interview either over the phone or in person. It is best to rearrange your schedule to fit the interview times suitable for the employer as it will demonstrate your dedication as a job seeker. Always thank the person you have spoken with. In American society, first impressions are very important. Your appearance conveys your level of professionalism and seriousness; therefore you must dress appropriately. Even if the job you are pursuing is one in construction or another industry where everyday dress is casual, it never hurts to appear more dressy than necessary. Your employer will see that you are a responsible individual who cares about the way he or she presents himself in public. Always be on time. American society is strictly structured according to the timetable. Being prompt not only shows that you are responsible but also that you are serious about wanting the job. Never walk into an interview cold! Always have a small speech prepared and know the name of the person you will be speaking with. It also is a good idea to do some background research about the job or company beforehand. You want to appear to your employer as someone who cares about his or her company and truly wants the job you are seeking. Start off with a nice, firm handshake. In American society, this is the formal way of greeting someone you do not know regardless of gender. Be sure to always look the person you are speaking with in the eye. This also shows the person that you are an attentive listener and engaged speaker. If you do not look in their eyes or look down continuously during the interview, they may think that you are not trustworthy. Practice the interview with someone familiar beforehand such as a family member or friend so that you will not be nervous when it comes time for the real thing. Think of possible questions your interviewer might ask and think how you would answer these questions. There are also several cultural taboos in American culture that relate to the interview process. During an interview, never ask about your salary. The employer will most likely give you this information and inquiring about it projects a sense of arrogance towards your employer. You should be competitive but at the same time respectfully acknowledge yourself as the jobseeker. Once the interview is over, you may thank the interviewer and once again go for the handshake. The employer will contact you usually within the next week if he or she wants you to come in for a second interview or even better, wants you for the job. Copyright © 2015 Sagal Radio Services. All Rights Reserved.